Before I start my post today, just a reminder. Today is Veteran's Day in the United States. We owe a debt of gratitude to the men and women that have served and are currently serving our country in the military. They sacrifice so much to protect and serve. Thank a veteran today!! Hi, hope your Thursday was good. I went to a couple of the craft stores with my coupons today. Had some retail therapy, always fees good! Today's card is for the Midnight Madness Sketch Challenge (MMSC) #129. The House Mouse and Friends Monday Challenge is sponsoring the challenge this month and we are so excited about that! I have made my card following the sketch (I flipped it on it's side) and used a darling House Mouse Stamp, Yummy Treats, for my card. 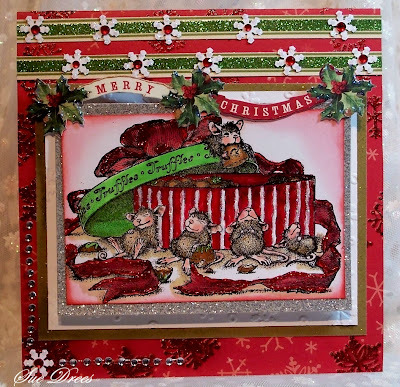 The current challenge theme at House Mouse and Friends Monday Challenge is Give Thanks/Thank You, so if you make a card using the sketch from Midnight Madness and a House Mouse image and theme, you can enter both challenges! These little critters have gotten into this beautiful box of truffles and had their fill! 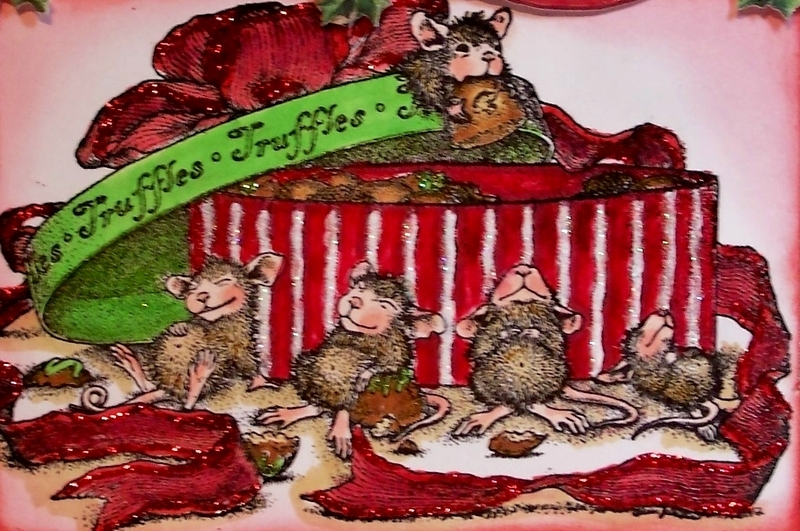 Stamp - House Mouse "Yummy Treats"
This is a fabulous card. A lot of beautiful coloring. Some of your elements are new to me, so thank you for listing them. (I don't know if my pocketbook will thank you- but what the heck). It is just so bright and cheery. How is Keeley doing today? I hope the swelling has gone down. It took several days for Daisey's eye lid to return to normal and the redness in the eye took about 5 days. 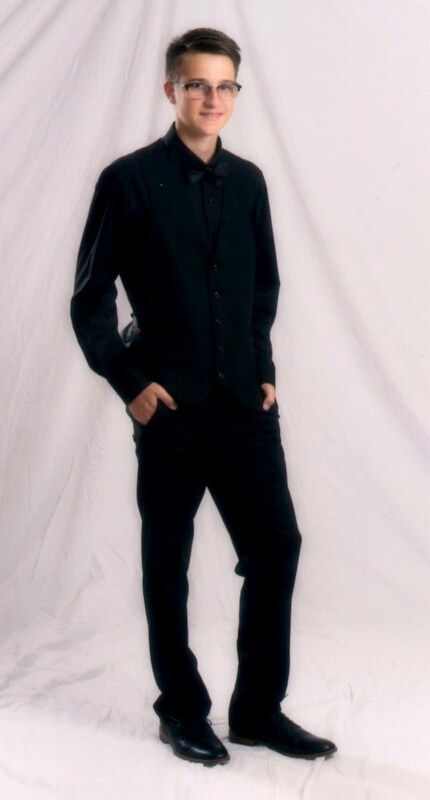 Give a kiss for me please. Enjoy your weekend. wow sue what have you made gorgeous cards this week, beautiful images and coloring. So much cuteness on one card!! I just love those mice. You did an amazing job with the sketch! Thanks for joining us at Midnight Madness Sketch Challenge. See you again soon. WOW Sue ... what a yummy, beautiful creation! Your work is always so inspiring to me! Thanks so much for joining us at Midnight Madness. I just LOVE your interpretation of the sketch! Hope to see you again next week! Gorgeous card Sue, stunning! The colours are fabulous!! Looks like there were some tummy aches in the House Mouse family! LOL. Adorable Sue! I love this image...and love all the red you have added!